The IDEEL Program aims to support healthcare professionals in emerging countries at the forefront of the fight against diabetes to learn new skills and strategies needed to stem the advance of one of the world's most serious public health problems. Project HOPE, a global health education and humanitarian assistance organization, partnered with Takeda to launch the International Diabetes Educator E-Learning (IDEEL) Program. IDEEL is packaged as a self-paced online learning program/curricula that can be accessed from anywhere. The program is enhanced by a minimum 15 day clinical internship under the guidance of an endocrinologist and diabetes educator. Once the student has successfully completed the online course and internship, he/she will have a life-enhancing understanding of diabetes management across a broad range of age groups. Takeda has been supporting the developing online course of the program and expansion from India to other emerging countries since 2013. IDEEL program has been successfully initiated in the month of September 2013 in India. Project HOPE is aiming to go live with the Spanish version early 2014. 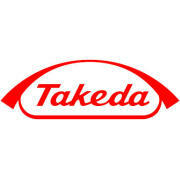 Following Spanish (or simultaneously pending funding), Takeda is also interested in the development of a Mandarin, Portuguese, Arabic and French not to mention various English versions for different English-speaking target populations around the world. The program is targeting 800 enrollees by the end of June 2014 and another 1200 for the period July 2014- June 2015. For more than 230 years, Takeda has been serving society with innovative medicines, helping patients reclaim valuable moments of life from illness. Now, with new healthcare solutions from prevention to care and cure, we are determined to help even more people enjoy their lives to the fullest. Our mission is simple: we strive toward better health for patients worldwide through leading innovation in medicine. At Takeda, our passion for healthcare and commitment to improving lives will enable us to make the next 230 years healthier and brighter for people around the world. Our robust product pipeline is focused on treating serious diseases and disorders, including bone and joint disorders, cardiovascular disease, central nervous system disorders, chronic kidney disease, diabetes, gastroenterology, gynecological disorders and infectious disease. Targeting areas where there are high unmet medical needs and our R&D experience and platform can be fully utilized, we are focusing our resources on the following core therapeutic areas: "Cardiovascular & Metabolic," "Oncology," "Central Nervous System," "Respiratory & Immunology," "General Medicine (Gastrointestinal & Genitourinary)" and "Vaccine." We are reinforcing our global marketing activities, aiming to provide high-quality medicines to patients worldwide. We continue to transform the future of healthcare by unifying our strengths as "Global One Takeda." We are a diverse organization committed to working with local communities to fully understand their needs and deliver industry-leading solutions with a sense of urgency, dedication and unparalleled efficiency. 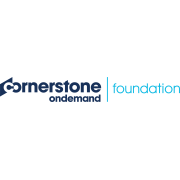 The Cornerstone OnDemand Foundation transforms the way people help people. Through the contribution of their talent management technology, their capacity building programs, and the support of our entire ecosystem, they strengthen nonprofit organizations around the world by helping them develop, engage, and empower their employees and the people they serve.